Employee Advocacy: You curate content and resources for your team. Employees share it via their social networks. You can increase your marketing reach by 561%. Oh, and your customers will trust you more as a result. Here’s everything you need to know about employee advocacy and creating employee advocates at your company. While social media is often the main medium for employee advocacy, employees may also use other outlets like email, chat, forums, discussion boards and more. Companies need positive reviews and word-of-mouth recommendations to help build trust among its target audience. Employee advocacy is still fairly new, but more companies are realizing how necessary a program is to implement. The brands that are jumping on board right now are reaping the long term benefits and transforming employees to social media powerhouses. For example, brands like Dell, Adobe, Genesys, & many others have adopted employee advocacy and seen significant results in marketing, sales, social recuriting, and employee engagement. This means that no matter how often your PR team is out there sharing the gospel or the CEO is on television, Inc. magazine or TechCrunch talking about your company, nothing is more effective than the voice of your employees. What is an employee advocacy platform? An employee advocacy platform is a program that enables employees to share approved company content with their networks. Usually via employee advocacy software. In order for employees to actively participate in employee advocacy, they need to be enabled with a software that makes access to content, integrations, data, and their social accounts easy. Reporting hub & leaderboard for tracking results. 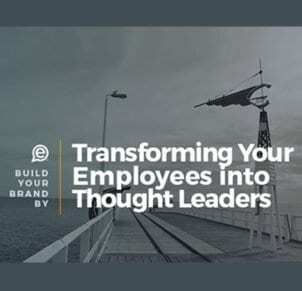 Employee advocacy platforms can also transform your workforce into powerful marketers and sellers, help kick-start dialogue, and drive results in our increasingly connected economy. 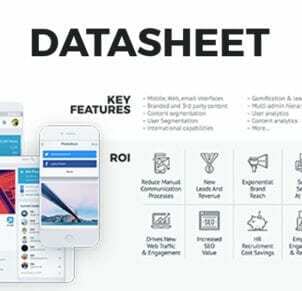 No longer can a brand simply rely on bulk advertising, as consumers and business professionals alike probe and research your products and services long before arriving at your door. If you’re not in the conversation – you don’t exist. Social media has been a core part of Dell’s marketing operations for years. The company was also one of the earliest to market with sentiment analysis and social media monitoring technology, for instance. 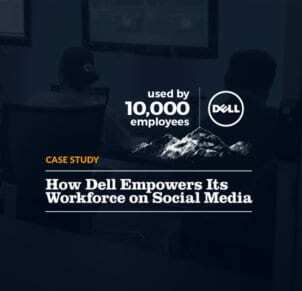 In this case study, learn how Dell drove more than 150,000 shares and 45,000 additional clicks to their website in the first year with an employee advocacy program. Plus much more.